An Englishman in Colombia: Work and Rest! Yesterday, we left home about 8.30am, to go for my Medical Test, on the Autopista before we got to Copacabana there was a lorry stopped in the middle lane, I slowed, and then realised why, there were a trail of body parts down the centre of the road, and under the vehicle. I told Marcela not to look, it had obviously just happened, as other motorists were running back to the scene, we hadn't seen anything, so I kept going. It turned out that it was the female pillion passenger on a motorbike, the wife of the rider, the rider himself, only received minor injuries, there have been two versions of what happened, one that he was going too fast, lost control and they came off, the woman rolling under the wheels of the lorry, the second version is that a Dumpster wagon veered into the motorcyclists lane and knocked them off, but kept going, either would have been possible, the Dumpster Drivers here are damn dangerous. Unfortunately, the Press here can print vivid photos, and Marcela who was sufficiently upset at the time, keeps getting reminded by the Press. Anyway, we went for my medical test, and was given the results there and then, not that they mean anything to me, I will now have to go back to the Specialist! From there we headed back to Bello, thinking the Motorway would be blocked for hours, and unlike the UK, the Authorities close the road at the scene, not at the junction before, so if you are unlucky enough to be in the queue, that is where you stay until they re-open the road, and it was nearly six hours before it was opened yesterday, and that was only one lane, as the body and lorry were still in situ when we eventually returned home. In Bello, I went to collect a parcel that the Courier had been saying was out to be delivered every day for the last three days! then we went to find A Periodontist or specialist dentist, I had been waiting two weeks for an appointment to have my gum and bone cut, so a tooth could be saved, it was a private appointment as it is not covered on the health system, but I never received it, and when Marcela queried, the Periodontist had gone on a jolly to a convention, so eventually we found one, and she examined the X-ray and my mouth, and said no operation was needed, but she found some other work and touted for business, I heard that story when I first moved here, and it was an expensive experience! but I was not charged for the examination, which was a nice surprise. Knowing, the motorway was still shut, thank goodness for Twitter! we went for lunch, before heading home. I then changed, and set up the Security Camera in it's permanent location, where it works a treat, I had to cable a power supply to the location, but otherwise there was not much to do. This morning, I decided to undertake a job I have been putting off since we moved in! 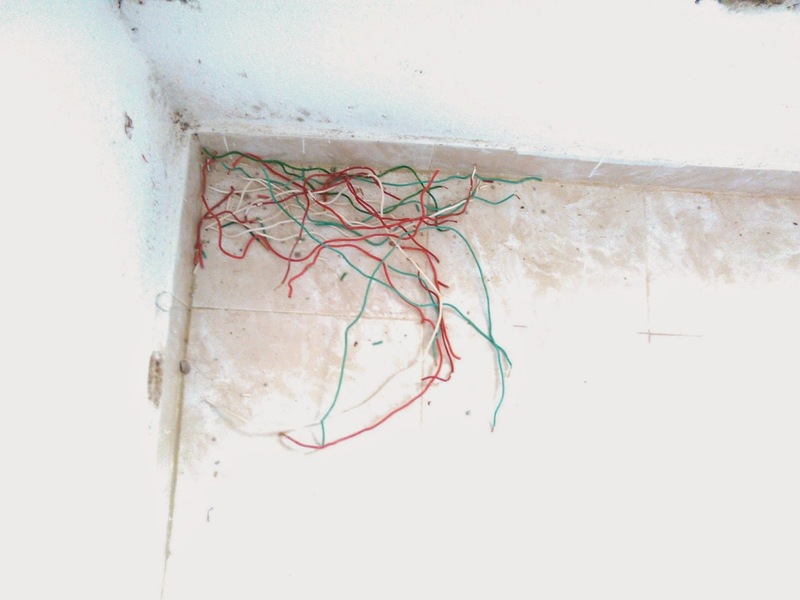 There was not room for another cable in the fuse box, it had been so badly wired it was a joke. Now it looks a bit better, I can trace every wire, and work in the box if I have to. 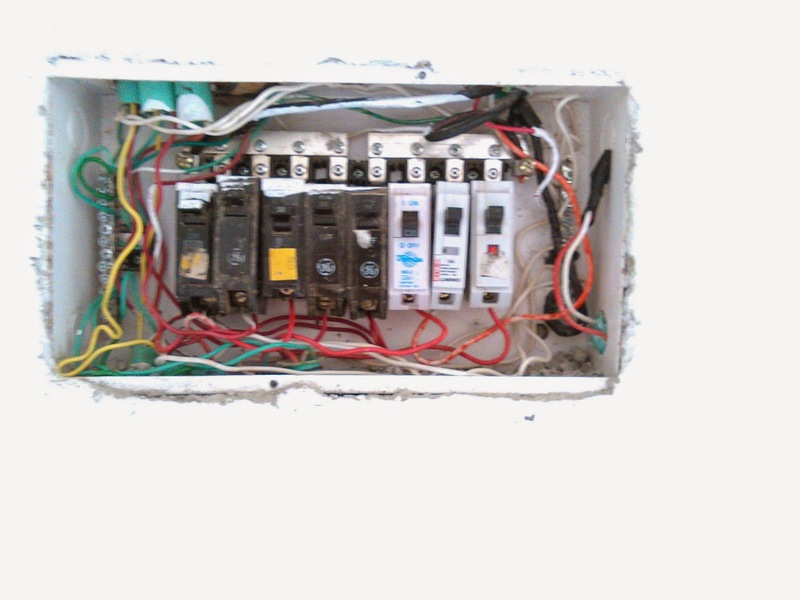 Electrics are not my favourite hobby, but I will work on it, rather than pay someone else, especially here! By the time I had clipped out all the excess wire, there was enough over to rewire the house...OK that's a bit of an exaggeration, but you get my meaning! Marcela had scooted off for lunch with a friend and hopefully meet some contacts who will help her with her new business, I certainly hope it takes off, I want to sit back and be a kept man, ha!ha! As for me, well, I've got my little four legged friend for the afternoon, and I am going to change and chill!